This tour visits 12 of Fernie’s iconic Historic Downtown (2nd Avenue) buildings and features a variety of architectural styles and photo opportunities. Three tragic disasters have nearly brought total destruction to Fernie since its founding over a hundred years ago. However, the persistence of its locals have always restored the town back to its glory. As you walk around town look hard and you'll see that Fernie exudes history the moment you step into the downtown area on 2nd Avenue. Beautiful deep gold and rose-tinted brick and sandstone buildings line 2nd Avenue and are unique to Fernie. Look for evidence of the 1908 Great Fire in the form of soot and smoke residue on the brickwork. 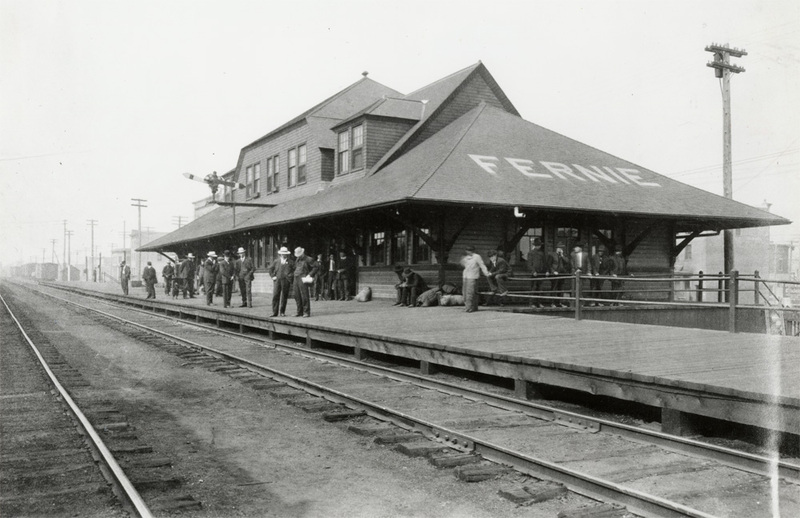 Begin the self-guided heritage walking tour of Fernie at the former CPR Station, 601 1st Avenue, now the Fernie Arts Station. Guided tours are also available from the Fernie Museum on weekends in July & August or book a private guided tour. 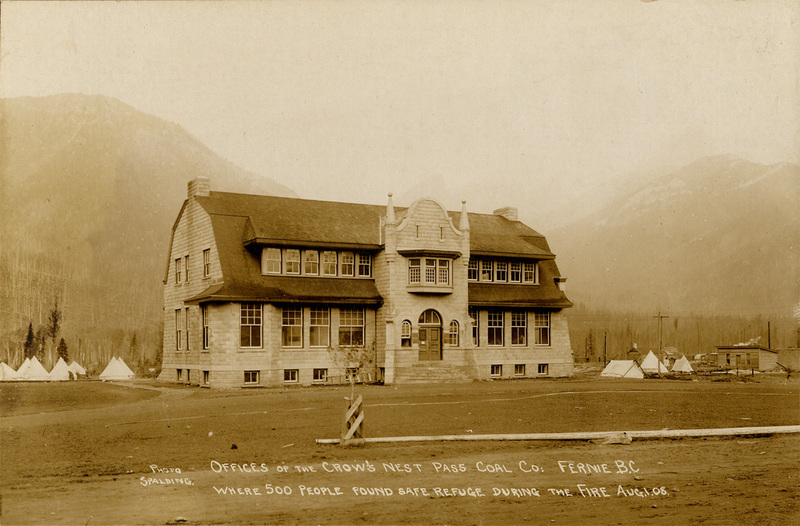 In its early years, the Canadian Pacific Railway station was the centre of activity in Fernie whenever a train stopped to unload passengers, mail, and other goods. As use of the automobile grew, rail travel declined and so did use of this Second-Class station. Passenger services were finally discontinued in 1964, however the train tracks are still in daily use, carrying the freight trains that regularly pass through the Elk Valley. The beautiful Rocky Mountaineer can also occasionally be spotted on a charter trip. Since 1987, the Fernie & District Arts Council has used this facility as a performing and fine arts venue. Dine trackside at the Blue Toque Café and imagine yourself arriving on the platform for the first time 100 years ago! The Chinese entrepreneur How Foon established several businesses in this building constructed in 1908. He ran a cafe, a laundry, and a shoemaking shop on the main floor and rented apartments upstairs. 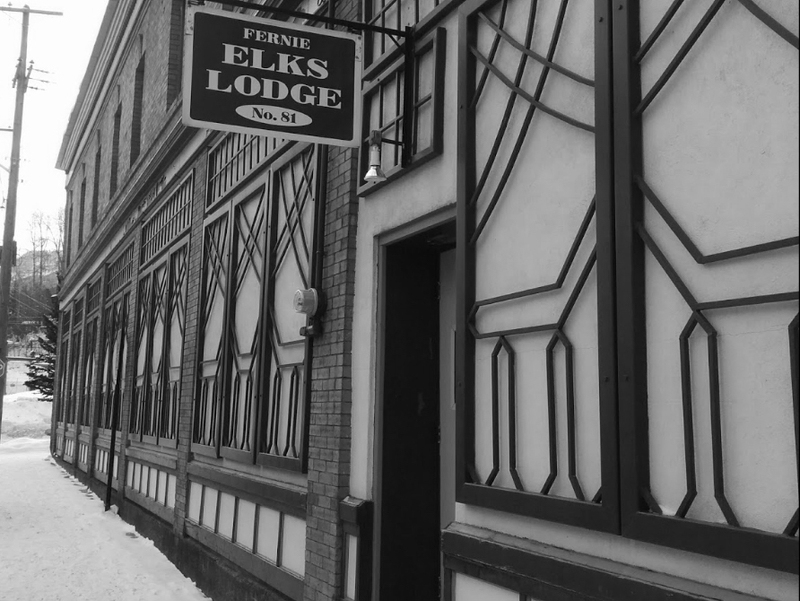 The Fernie Elks Club purchased the building and removed the dividing walls to open the interior space for use as a hall. The exterior surface, though, retains its original outline and the original advertising mural for 'Royal Crown Soap'. Across 5th Street at The 1909 Royal Hotel, note the tops of the filled-in windows along the base of the building indicating that the street was once lower than it is today. This decorative building was constructed in 1910 to house a branch of the Home Bank on the main floor and the Herchmer-Mitchel Law Office on the second floor. The failure of the Home Bank in 1923 cost Fernie depositors $800,000 and led to a rewriting of Canada’s banking laws. These new rules prevented the widespread bank failures in the 1930s. Except for the paint, the exterior is in its original configuration making this a significant heritage building. On August 1, 1908, on the corner of 2nd Ave and 4th St, the members of the Fernie Fire Department made their last stand in the fight of the catastrophic fire that would consume Fernie in just 90 minutes. The Imperial Bank of Canada built a new bank here in 1909, using a standard small city branch design. The company merged with the Canadian Bank of Commerce in 1961 and closed the branch in 1963. Although some features have been altered, the brick and sandstone exterior retains many of its striking original features. Step inside for a taste of today; the Brickhouse serves up a large selection of Fernie Brewing Company Beers, BC wines, and a tasty pub menu. The original bank vault is still in use as the chef’s pantry. Lauded as one of BC’s best buildings (2014, BC Architecture Foundation), the Court House is a spectacular chateau-style building rarely found in the area. Enjoy the grounds and beautiful views of the surrounding mountains. 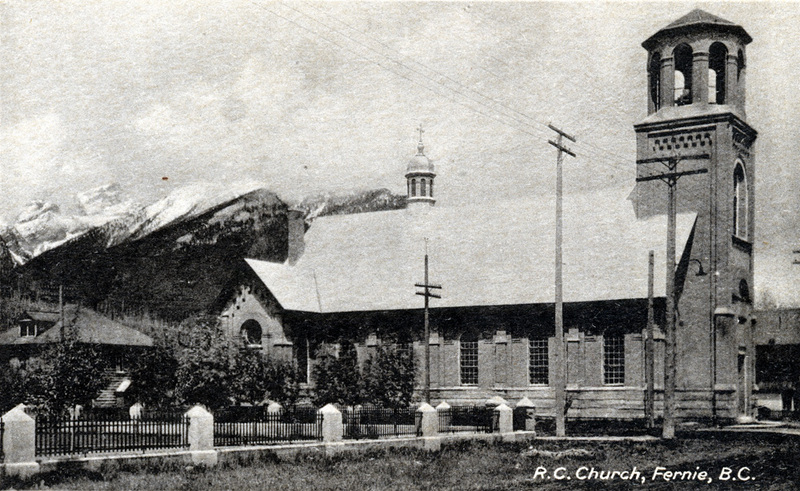 The history of the church dates back to the beginning of Fernie when Father J. Welsh was sent from Cranbrook to hold masses for approximately 200 miners in 1898. Some of these miners donated one day’s wages every month towards the construction of a place of worship and volunteer parishioners completed this church in 1912. 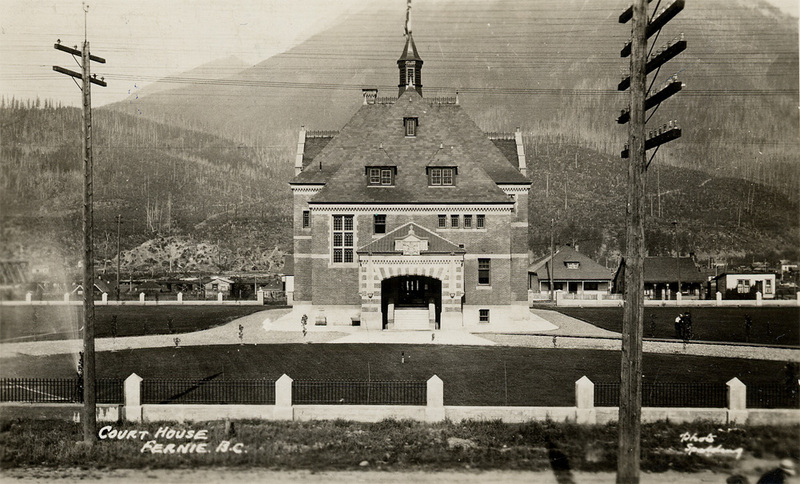 It was and still is home to Fernie’s largest congregation. It has served as Fernie’s City Hall since 1984; Mayor Giuliano welcomes visitors. Located on the grounds, The Miner’s Walk is a fascinating glimpse into Fernie’s coal mining heritage. The walk features interpretive panels, sculpture, challenges for children, ironwork art from the Fernie Forge and municipal garden with picnic tables and benches. 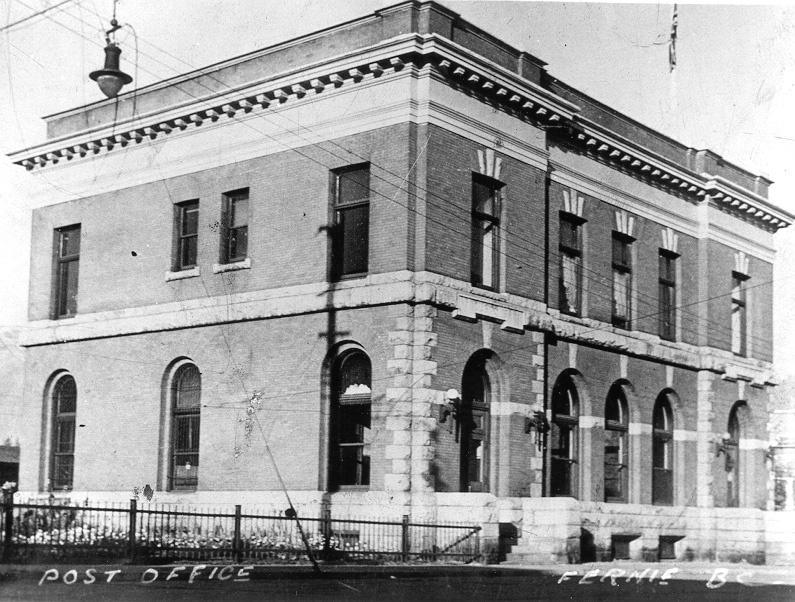 This imposing Romanesque Revival building reflects Fernie’s importance as a government centre for the region; the engraved stone signs above the entrance to the Post Office and Customs Office are still in place. The building, for a time, served as the US consul office for the region. Built in 1907, the building was gutted but not destroyed in the 1908 Great Fire. An exhibit on the 1908 Great Fire is located on the landing of the main staircase. Built in 1907, the building was gutted but not destroyed in the 1908 Great Fire. An exhibit on the 1908 Great Fire is located on the landing of the main staircase. 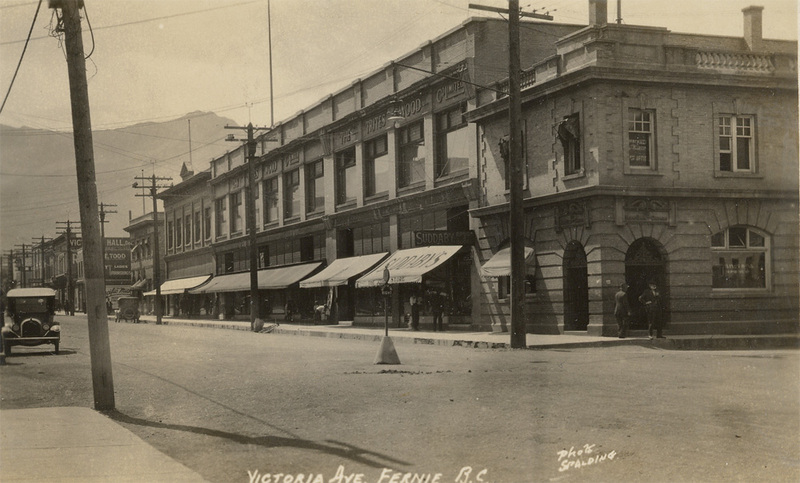 In 1904, William Eschwig of the Northern Hotel made a trade in which he secured the Salvation Army this site in exchange for the Victoria Avenue (now 2nd Ave) location, where they had been operating since November 3, 1900. The original building was lost in the 1908 Great Fire. 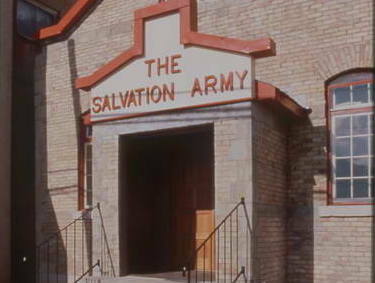 The replacement building, see below, was the Salvation Army's home until 2001 when they moved to their current location back on Victoria Ave (2nd Ave). Step inside today and discover a working felting studio, beautiful antiques and unique local artisan crafts including ironworks from Fernie Forge and glasswork from Elkford's Katherine Russell. In 1910, William Eschwig began construction of the building next to his Northern Hotel. Known initially as Eschwig's Hall, it was remodelled and opened as the Isis Theatre in 1911. The theatre was again remodelled in 1930 and reopened as The Orpheum Theatre. 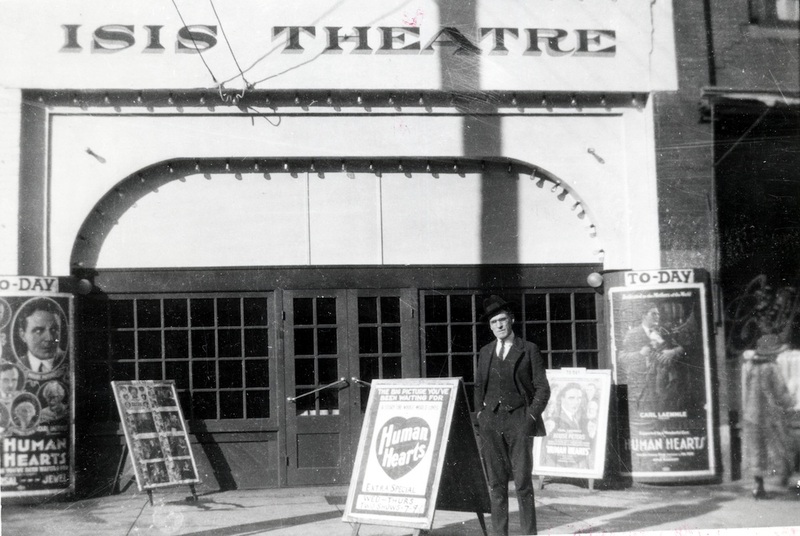 Moving pictures entertained Fernie residents here until 1949 when The Orpheum was bought by Sam Rossell, proprietor of the Vogue Theatre. At the time, it was agreed there was not enough business for two theatres, and The Orpheum closed. The Orpheum is fondly remembered by Fernie oldtimers as the site of Saturday afternoon entertainment. 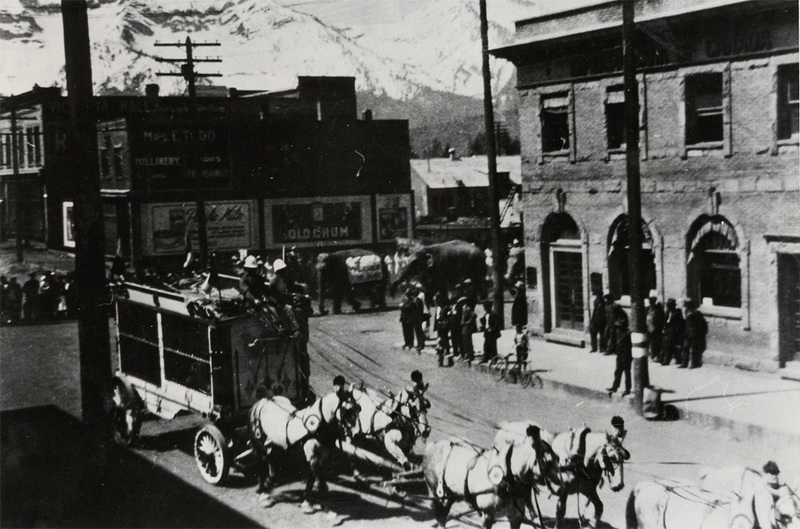 Unlike many businesses in Fernie’s Historic Downtown, the Fernie Cartage Company rebuilt its livery using rubblestone from the banks of the Elk River, rather than brick, following the 1908 Great Fire, making it unique in downtown Fernie. For many years before automobiles were commonly used, the company delivered milk, coal, and other goods with a fleet of horse-drawn drays. 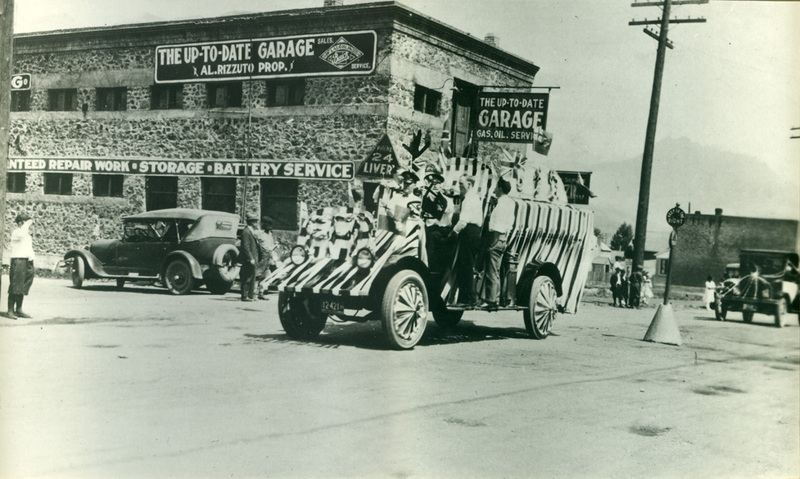 In the 1920s, it was “The Up-To-Date Garage,” servicing a number of makes of early automobiles and owned by prominent Italian entrepreneur, Al Rizzuto. 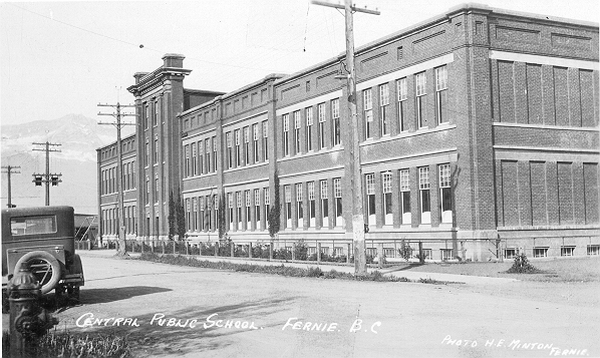 The Fernie Secondary School (High School) operated here for 89 years from 1909 - 1998. Early photographs show that the original facade looked much as it does today, however it was covered with stucco from 1978 until the time of the renovations in 2006. It was then that Parastone developed the site; revitalizing the original school and gymnasium and adding two new condominium buildings. Inside, the 16-foot ceilings, craftsman finishes, and granite fittings make this one of Fernie's most sought-after properties, while the award-winning 6,600sq ft Spa 901 offers the ultimate in urban relaxation for residents and visitors. The walk ends on the corner of 2nd Avenue & 9th Street. Take a stroll down 2nd Avenue, sometimes known as Victoria Avenue, and enjoy streetside patios, boutique shopping, and cultural attractions. Visit working artists and artisans in their studios and soak in the atmosphere of a town rich in history and heritage. Look up for the beautiful art banners on downtown lampposts featuring a variety of new local artwork. Learn more about Fernie's history at the Fernie Museum, and also in the Fernie & Elk Valley Cultural Guide. Special thanks to the Fernie Museum for the kind usage of the photographs.